Just place, point, and pick your colours with confidence! 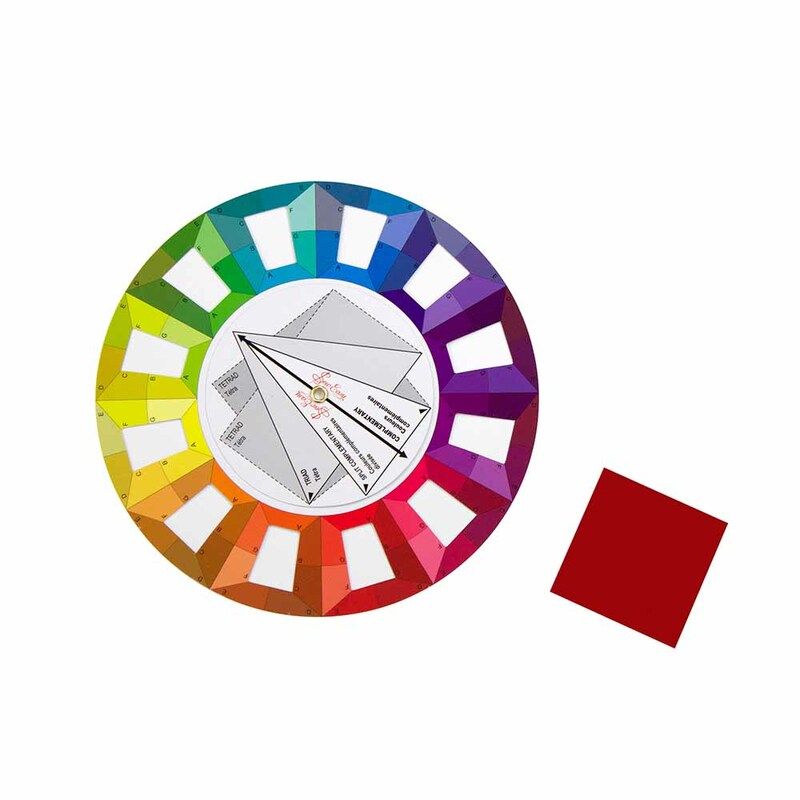 The colour tone guide is a tool based on the colour wheel. 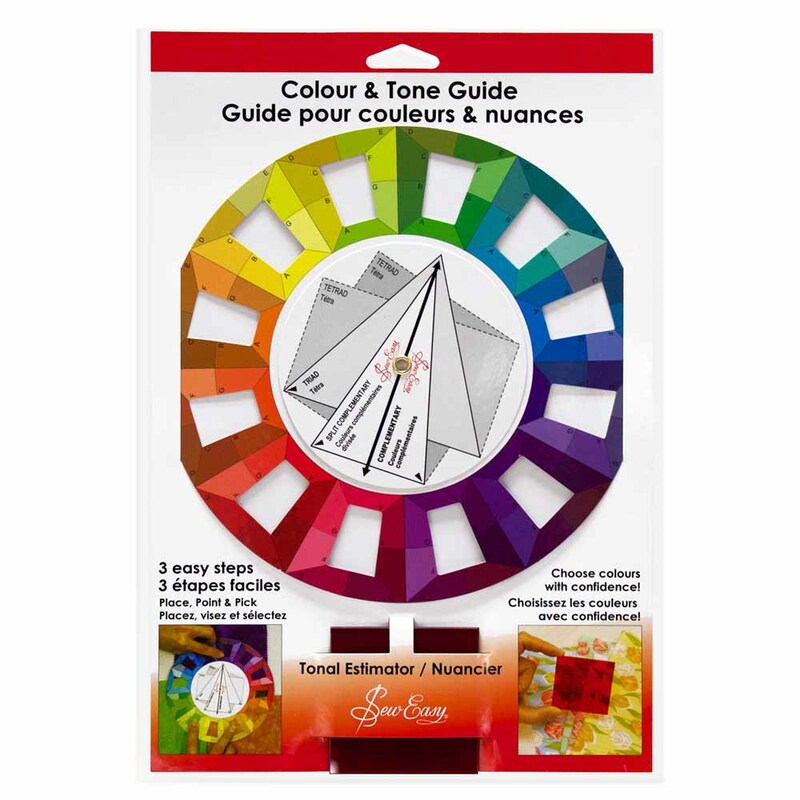 Its design helps to understand the relationship between colours, thereby giving more confidence when choosing colours for quilting projects. The Tonal Estimator / Value Filter allows you to sort fabrics by a range of values creating visual contrast and sharp, clear design.